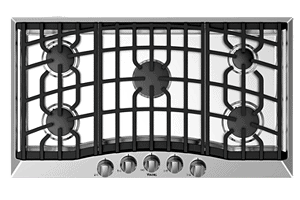 Tiger Mechanical offers professional Viking gas range repair to owners in Maricopa County. We train our technicians in the most up-to-date Viking technology so we can more efficiently diagnose and repair your range. Our goal is to get your kitchen back in working condition as fast as possible. If you smell gas, your burners aren’t lighting or you are experiencing any issues with your Viking gas range, call Tiger Mechanical to schedule your repair with one of our professional repair technicians. So you can feel conﬁdence in your repair investment, Tiger Mechanical Services will warrant your repair for 1 year on labor and 5 years on non electronic parts for all Viking appliance repairs completed by Tiger Mechanical. Owners of Viking appliances know the benefits of owning high-end appliances, so when they require service, you want the most reliable repair company. When Viking founder Fred Carl Jr was building his dream home in the 1980s, he couldn’t find a range that fit his vision. So he designed his own and from there, he developed a consumer range that brought chef-level cooking power into a home kitchen setting. 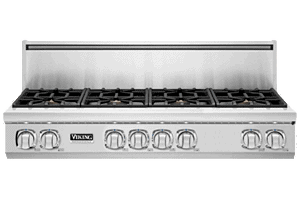 From headquarters and a manufacturing plant in Greenwood, Mississippi, Viking has expanded to include built-in cooking, ventilation, refrigeration, wine storage, kitchen cleanup, kitchen accessories, and outdoor products — along with a cooking school where novices can gain basic culinary techniques and experienced home chefs can tune up their skills. Viking is committed to producing appliances that are water- and energy-efficient and manufactured for sustainability. Call Tiger Mechanical today for Viking gas range repair.